You can also change permalinks of categories, blog, etc. 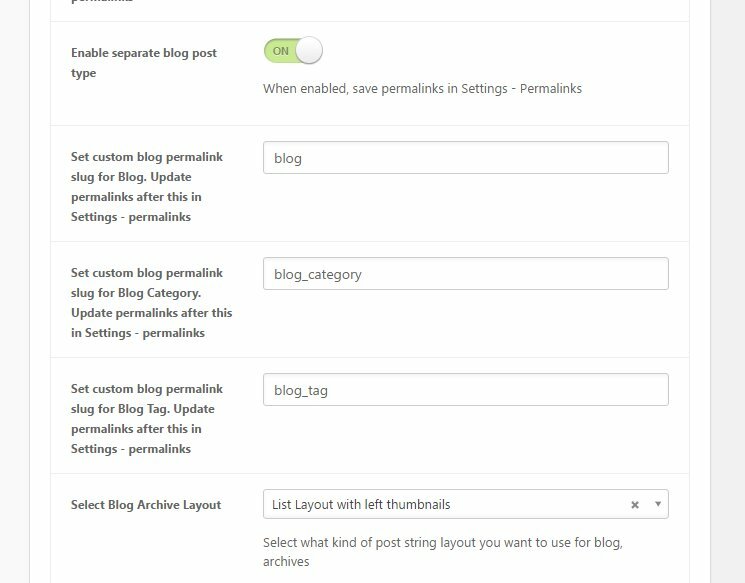 Don’t forget to resave permalinks after changes Settings Permalinks . 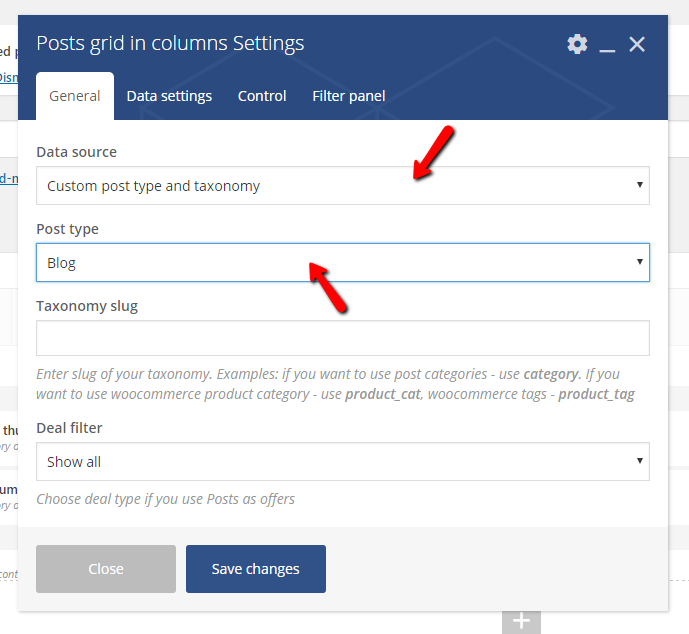 If you want to show posts only from one category – place “blog_category” in Taxonomy slug and write slug of your category which you want to show. 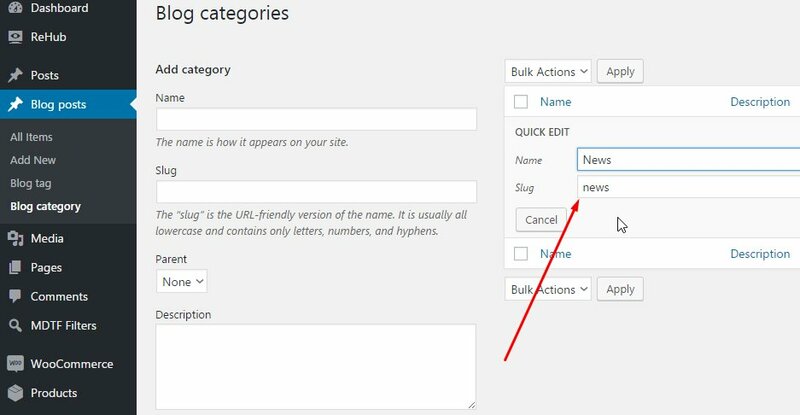 You can fill slug in Blog Posts Blog category Edit .